The Amazing Spiderman 2 sees the alliance of vengeful enemies, this on top of the continued unravelling of Parker’s family secrets and a complicated relationship with forbidden love Gwen Stacey (Emma Stone) but first.. graduation. From the off we are shown that juggling the social life of awkward and anxious Peter Parker against the wise-cracking Spiderman has its complications and are becoming near impossible to keep separate. Garfield’s Peter Parker is a little more comfortable in himself since the first instalment though he certainly still shows signs of a neurotic, angsty young-adult. He can sometimes come across as conceited and slightly unlikeable, which is understandable really for a superhero. Whilst Spidey is not without his faults, his soon-to-be enemies are acquaintances who seem to have their own psychological problems – their grudges spawning from their own fears and insecurities. Max Dillon (Jamie Foxx) an electrical engineer for Oscorp feels overlooked and unimportant: the faint whisper of the voice in his head accompanies pangs of social anxiety. This is until an accident leaves him with the ability to control and contort electricity, leading him to discover that creating chaos is rewarded with attention. Initially idolising Spiderman for saving his life and actually acknowledging him when he was the humble Max Dillon, the now literal electrical engineer Electro has a sudden change of heart. 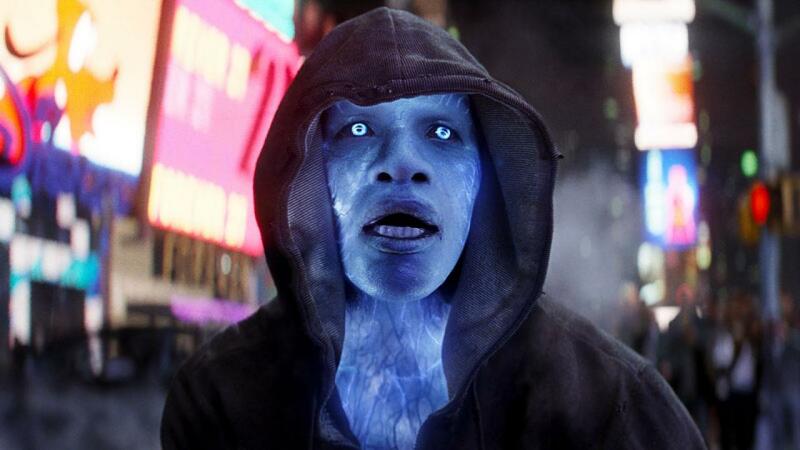 Although Electro brings with him a cinematic presence his motive appears misplaced and sudden, feeling more like a connector to the far darker villain Green Goblin. Dane Deehan’s descent from Harry Osborn the old school friend of Parker to the monstrous Green Goblin is commanding. A twisted performance that stems from Osborn’s fear of death upon discovering that he has a genetic disorder. As his illness takes over the threat becomes more horrific than spectacular, unlike Electro. The lighter, more comedic tone that the film invites can be misleading at times during these sudden plunges into darkness. With so much going on Peter Parker seems to struggle with where his focus should be and where his priorities lie – just like the film which seems to spread itself thin and spend too much time away from the compelling characters and storylines. Based on the events that took place in the early 80s, when huge oil deposits were discovered in the North Sea, we follow the team comprised of competing Norwegian and American divers who must build a pipeline at never-before reached depths. Determined Norwegian diver Petter (Aksel Hennie) and his machismo brother must work with a team of Americans who are in on the deal. Joined by a competitive American diver (Wes Bentley) they undertake a series of tests and trial dives. The initial test involves undergoing pressure changes whilst under an anaesthetic gas – soon revealed to cause hallucinations. So when his brother is involved in a fatal accident during the first test dive, Petter is plagued by uncertainty as he aims to find the cause of his death and the truth behind the gas formula concocted by the powers above. Pioneer takes on the style of a 70s American political thriller with slowly unfolding conspiracy dragging Petter into the depths of paranoia. Director Erik Skjoldbjærg’s debut film Insomnia (remade by Britain’s own Christopher Nolan) built tension through paranoid hallucinations – but clearly favouring the style of the political thriller these delusions are disappointingly reduced to a few subtle tweaks in Pioneer. It is the subtlety and slow pacing that seem to unite the Scandinavian style of cinema with classic American thrillers such as The Conversation – which Skjoldbjærg states among others as a major influence. The underwater scenes serve perfectly as an extension of the slow tension building pace. With beautiful use of scale and light Petter clings to his ‘umbilical cord’ that keeps him from being engulfed by the black abyss of the North Sea. Despite the aesthetic accomplishment of these scenes, and the masterfully crafted score which communicates the claustrophobia and pressure of the environment, the understated drama plays out for the most part above water. As a result the film lulls between dives – ultimately detracting from the drama at the heart of the story.